votingKeyAddr: This is a Dash address (public key) used for proposal voting. Votes signed with the corresponding private key are valid while the masternode is in the registered set. Masternode payments in Dash version 0.13.0 are entirely deterministic and based on a simple list sort algorithm. For documentation of version 0.12.0 payment logic, see the legacy masternode payment documentation. Dash version 0.13.0 implements DIP003 and defines two sets of masternodes. 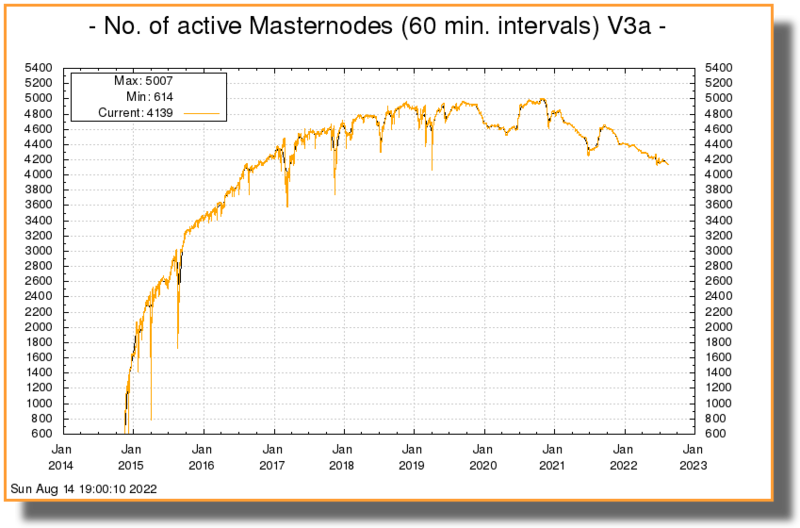 Each masternode in the set of valid masternodes, identified by its registration transaction ID, is associated with the block at which it was last paid. If it has never received payment or was banned for failing to meet the PoSe requirements, then the block at which it was first registered or at which service was restored is used instead. The list is sorted in ascending order by this block height and ProRegTx hash (as a tie breaker in case two masternodes were registered in the same block), and the first entry is selected for payment. A server or VPS running Linux: Most recent guides use Ubuntu 18.04 LTS. We recommend VPS services such as Vultr and DigitalOcean, although any decent provider will do. Generally an instance with low to average specifications will do, although performance requirements will increase according to this roadmap.